We have been working with Amazing Amusements for almost 10 years now. Initially we built their site using html, then we moved to Joomla in 2013. This year for 2016, we upgraded their site with some fun bells and whistles. This is a perfect site for the directory component, mosets tree. 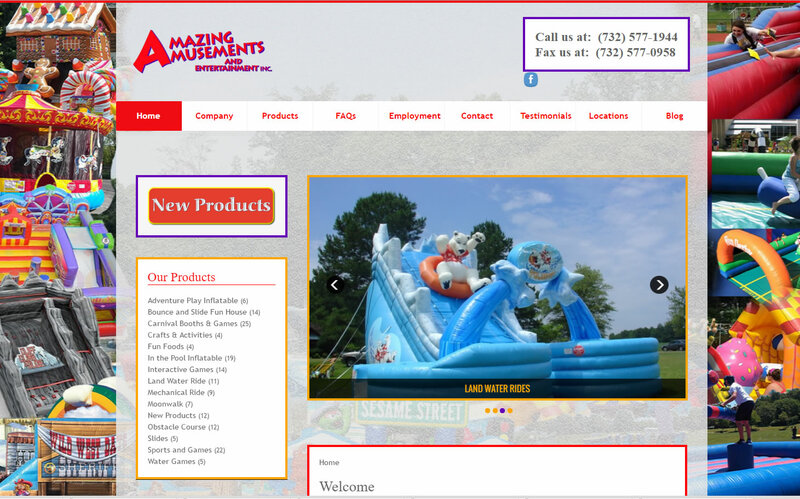 The staff at Amazing Amusements can easily edit and add products to multiple categories. One of the greatest features is that one product can exist in multiple categories. This is great for SEO and for their clients to easily find the products that they are looking for. This year we added a little more 'color' to the site with a full image collage background. We also made the site 100% responsive, so it will work well on desktops, tables and on cell phones.